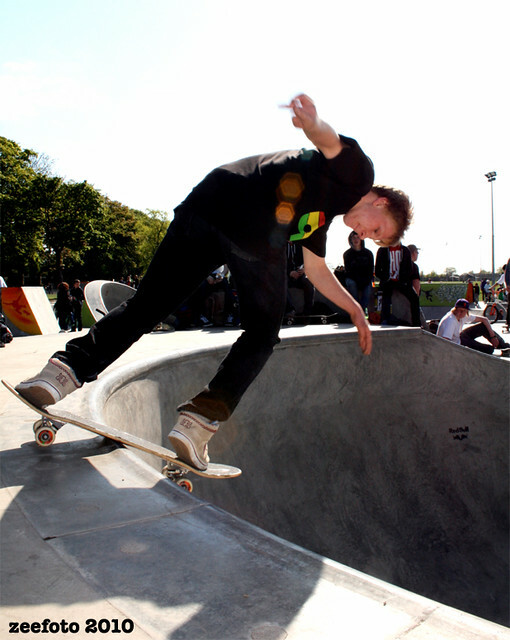 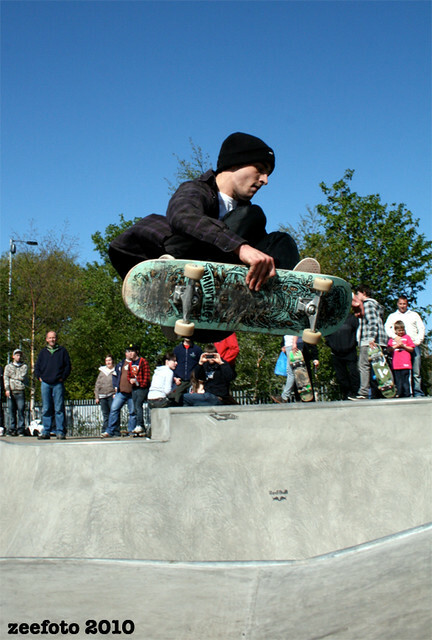 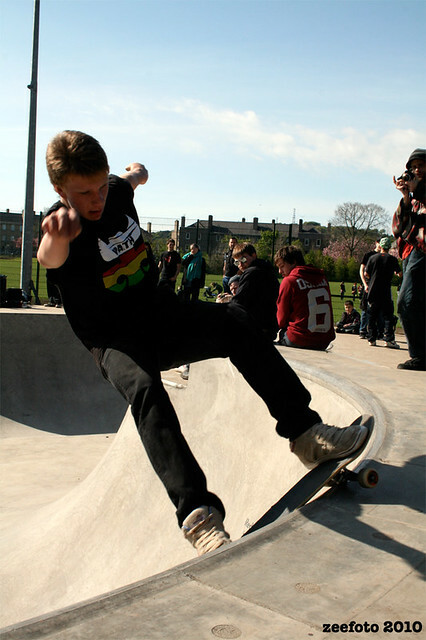 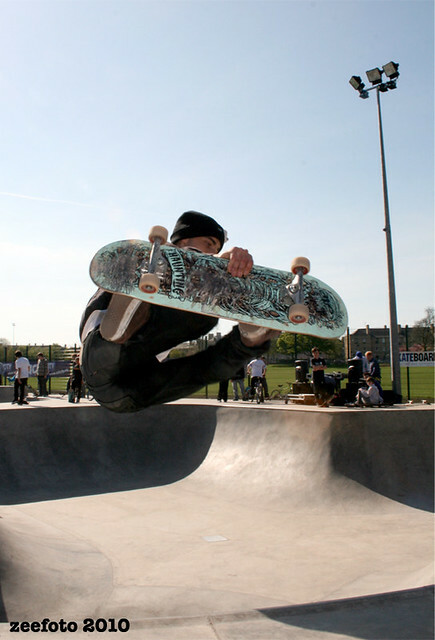 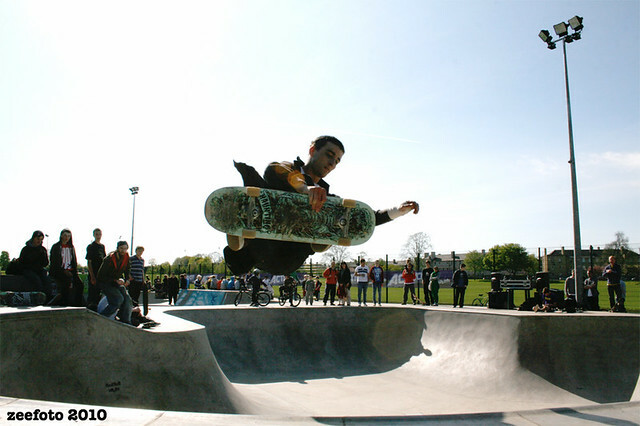 Skateboard Scotland were tasked by Edinburgh council to run the official opening event at the new Edinburgh skatepark in Saughton park. 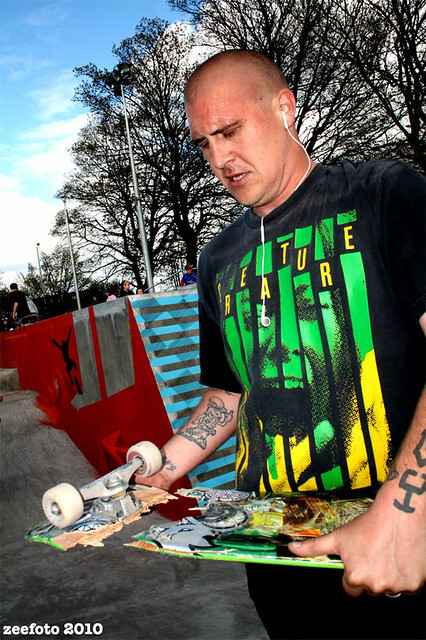 Ali Menzies was on the mic for the demo which included the likes of Stu Graham, Benson, T-bag, Rauri, Paris, Mark Burrows, Aaron Wilmot and Martin Macguire. 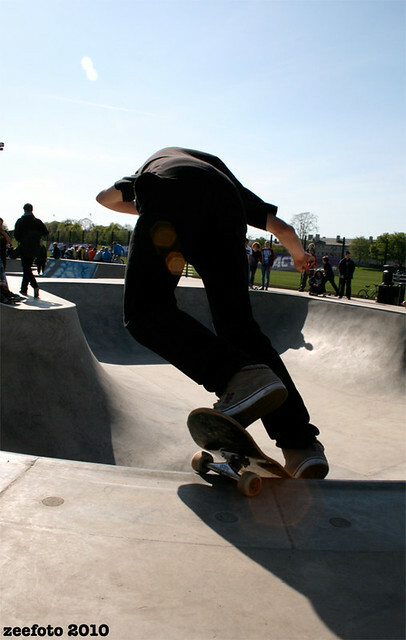 The official part of the day was short and sweet. 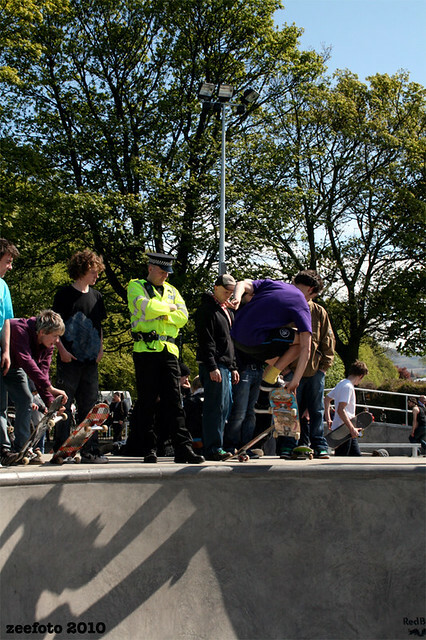 Councilor Deidre Brock officially opened the park along with some dignitaries from Sport Scotland. 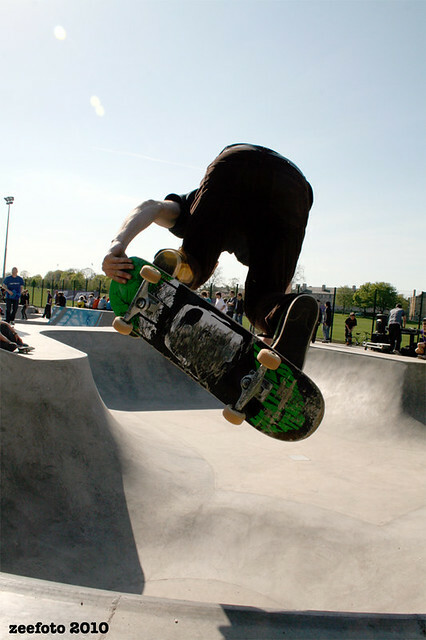 They were all very impressed with the workmanship of Clachan and the amount of people that were using the park daily since it had been opened. 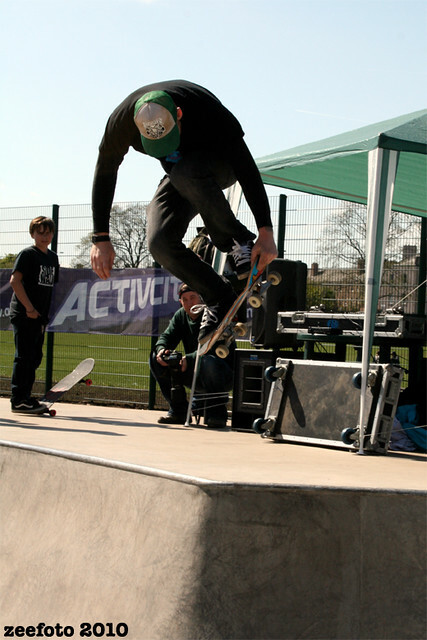 The demo kicked off and the skaters did us proud. 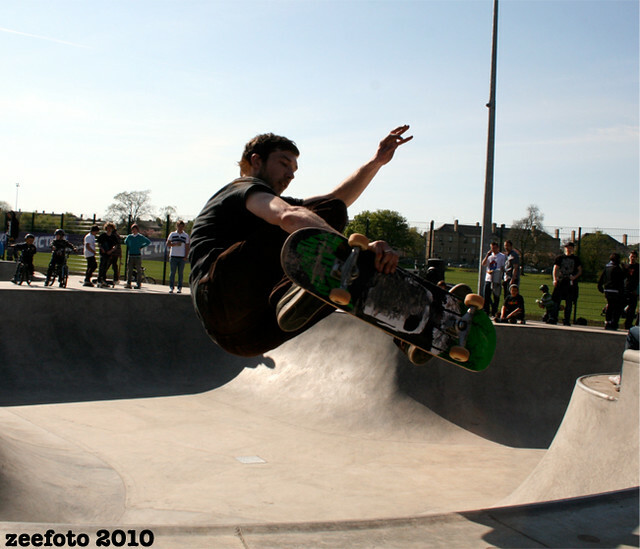 Stu was doing his usual mach 10 and destroying the park along with a bit of help from Brad’s flares in the background. 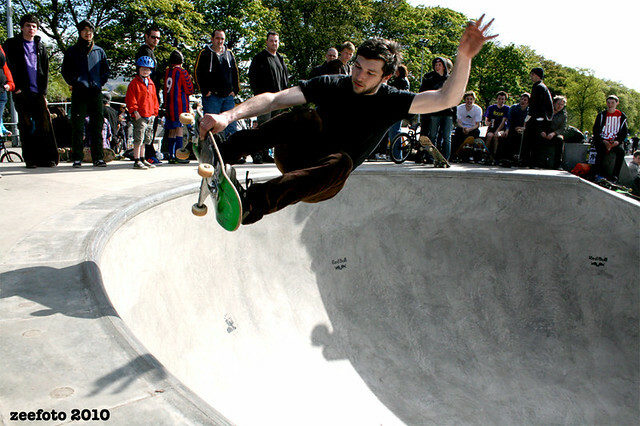 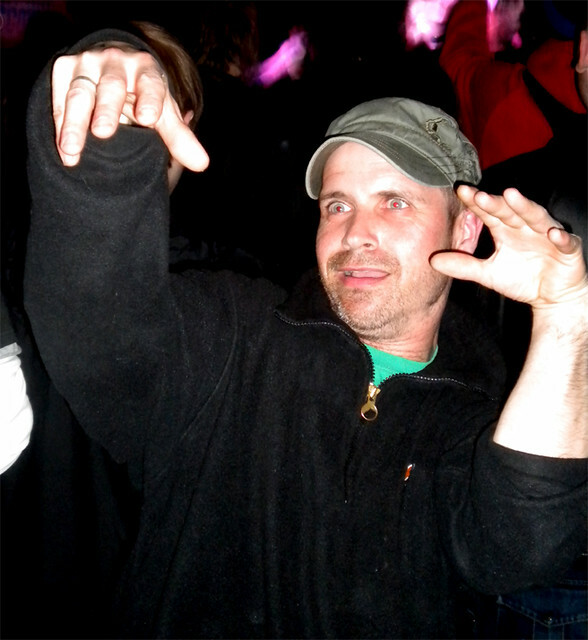 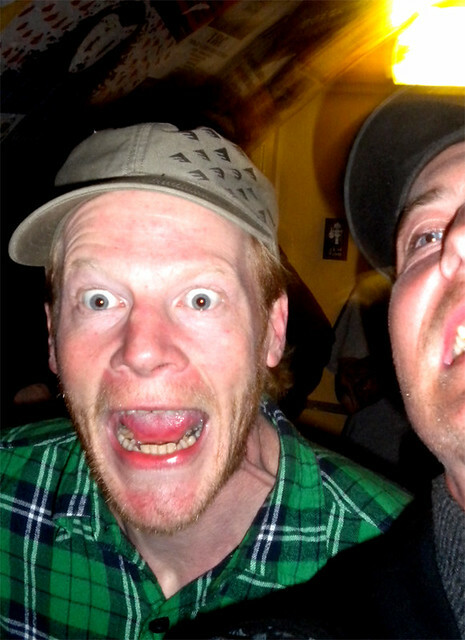 Benson made skateboarding look easy and T-bag destroyed the bowl. 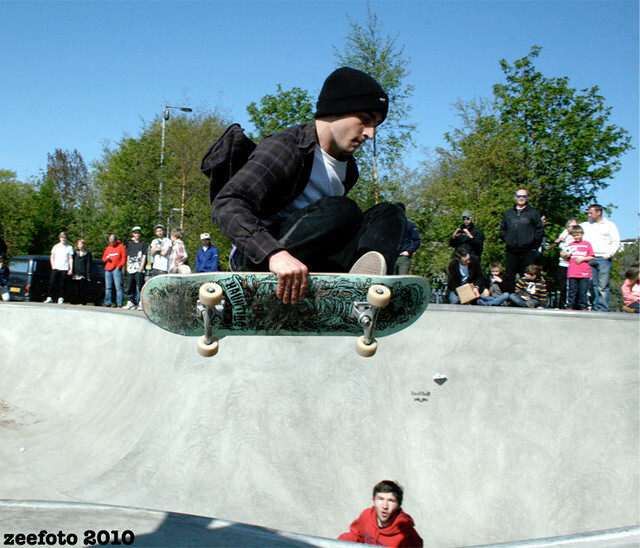 Seany B and Sunny were in charge of the Skateboard Scotland sounds for the day and did a fine job keeping the tunes pumping. 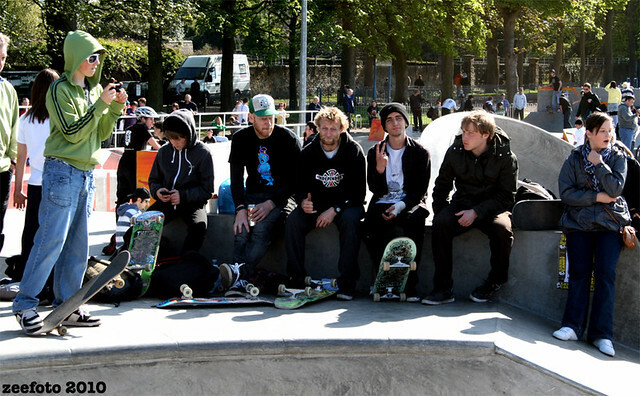 Big props to them for their hard work. 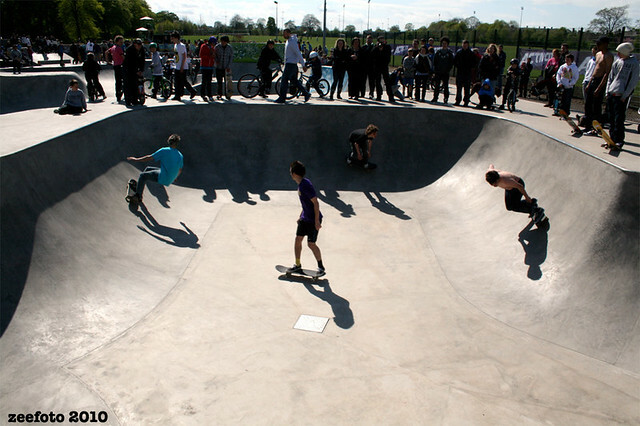 The weather was nice and we had tunes to skate with until they had to be turned off. 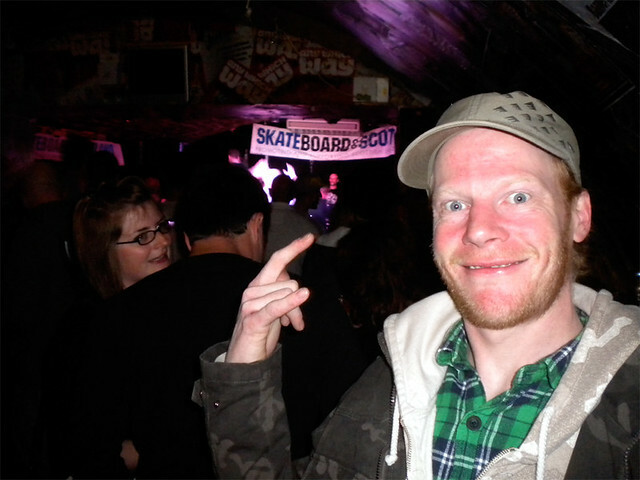 Next up was the after party and Skateboard Scotland’s very own Beki Menzies had arranged for Drive by Audio, Root System and Left for Dead to play at Bannermans to raise funds for Scottish skateboarding. 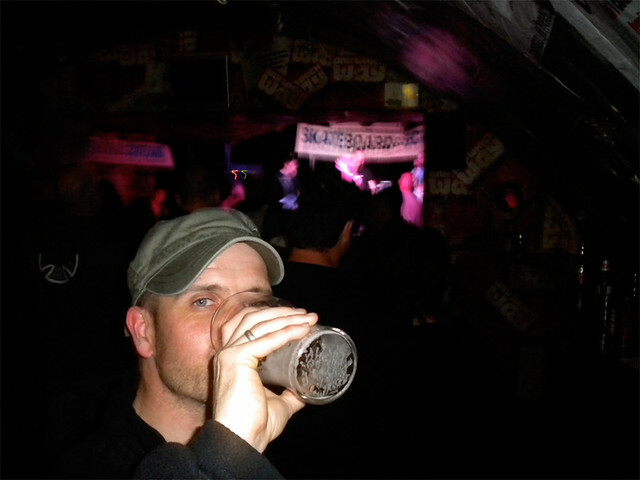 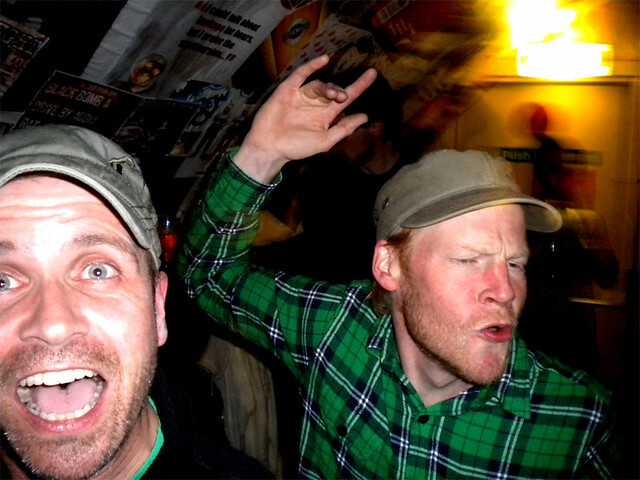 As anyone who was there will tell you the bands went off as usual and a good night was had by all. 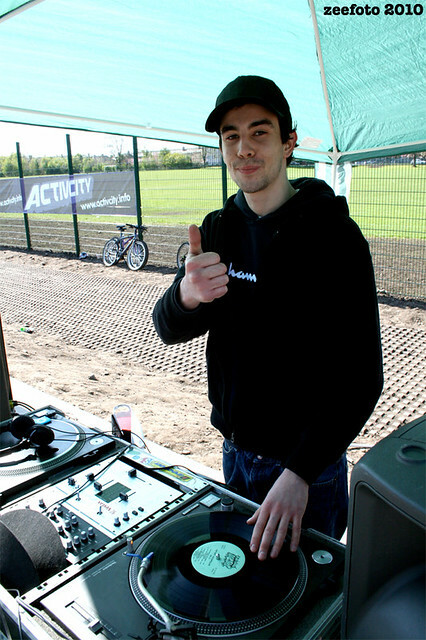 A big thanks to all involved with the organising of the event and to the three bands for playing for us again.